Developing fine motor skills in reception and year one is critical to a child’s success in both academic and everyday settings. Our vast selection of fine motor skills worksheets will help your littlest learners develop the hand-eye coordination and small muscle control that are essential for everything from writing and building to eating and dressing. Kids can trace, colour, cut, and craft to their hearts’ content! It requires scissors, tape, fine motor skills, and an eye for following directions. This worksheet is a crafty game that will require fine motor skills as your child cuts the fish out, and folds along the lines to get them into shape. Your child will trace the stripes, and strengthen fine motor skills. Use this cutting worksheet to get your child to practise using fine motor skills. Help your preschooler build fine motor skills with this cutting worksheet! 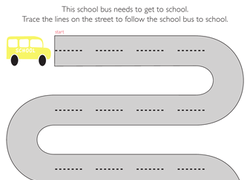 Your preschooler can build her fine motor skills with this car cutout page. 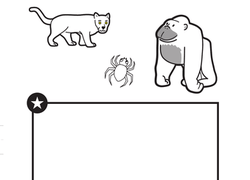 Develop your preschooler's fine motor skills with this spooky haunted house tracing worksheet. 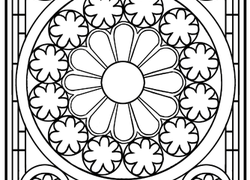 Practise fine motor skills tracing the box-like shape of Colorado in this coloring page. This printable folding page will challenge your child's folding skills and help to develop fine-motor skills. Help this puppy get back to her bed, and build fine motor skills as you go! 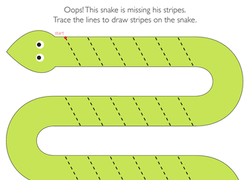 Find your way through a nursery rhyme maze, and build those fine motor skills in the process. Your kindergartener will strengthen his fine motor skills as he colors in this professional-looking 'boarder! Practise fine motor skills and letter recognition with this delicious ice cream coloring page from Brainzy! 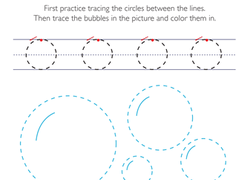 Help your student build fine motor skills with this tracing worksheet. 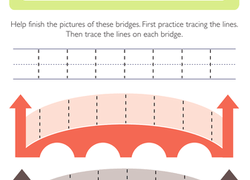 Looking for a worksheet to stimulate your child's fine motor skills? This printable is great for beginning learners. 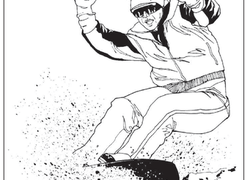 Your child can work her fine motor skills and artistic abilities with this guardian angels coloring page. This intricate flower design is fun to colour and a great way to give fine motor skills a boost.